On 23. 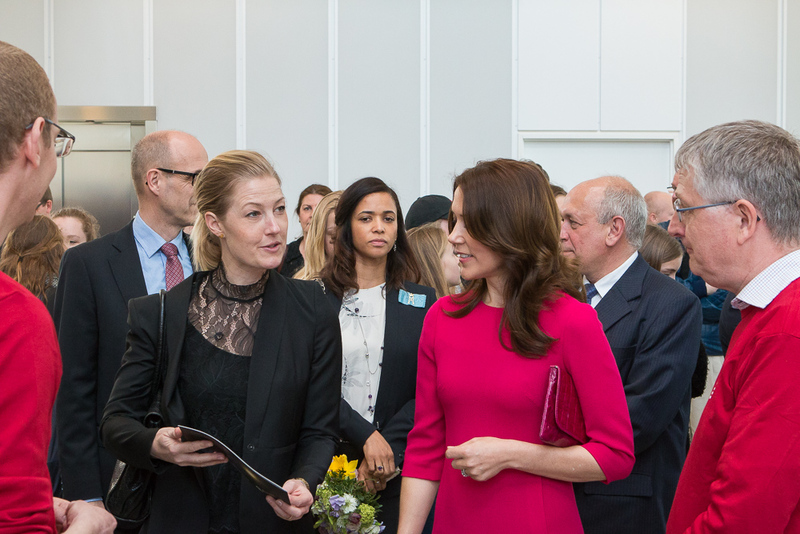 April, 2015, Mary, the Crown Princess of Denmark, and Minister for Higher Education and Research Sofie Carsten Nielsen visited CITIES. For the purpose of this visit we created a small combined power system integrated with a water based floor heating system in a small house. Related to this setup we established a competition where the purpose was illustrate voltage control, and more specifically to keep 35 V by the use of a generator driven by a bicycle. A small description of the competition on voltage control is available in Danish. The purpose was to illustrate energy systems integration facilitated by either simple or advanced control for keeping 35 V.
They were both very interested in our project, and they studied our new brochure. Thanks to Lasse Engbo Christiansen, who got this excellent idea on how to illustrate energy systems integration, and for being responsible for this very successful CITIES event. Thanks to Povl Ole for setting up the ITC system needed for the demonstration.